If you’ve ever braved the sandwich line at Rebecca’s after your 11:35 class, you’re the real MVP. 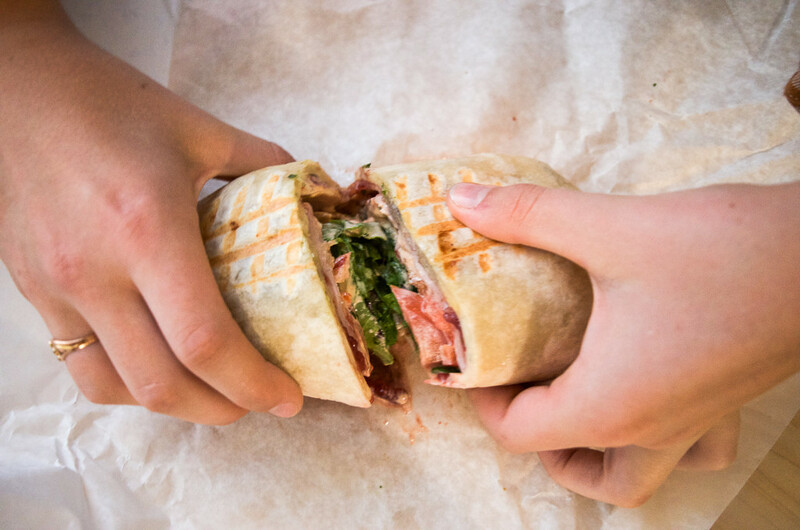 This line always seems daunting at first, but when you get your favorite sandwich wrapped to go and take your first bite, you know that the half an hour line was well worth it. We gladly endured the line for you (one too many times) and have exhausted the sandwich menu to bring you the top ten sandwiches. We were hesitant to share at first because now you’re all going to make the line longer but #sharingiscaring. Here’s our definitive ranking of Rebecca’s top ten. Ingredients: Smoked turkey, romaine lettuce, bacon, tomato, pickles, mayo and cheddar cheese on foccacia. 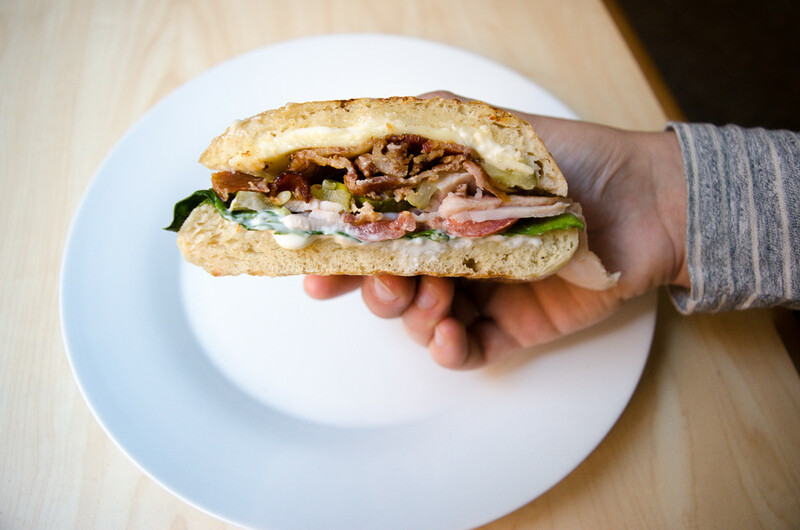 Your taste buds will “welcome” this salty delight after thinking all class of which sandwich you should get for lunch. You’ll want to dig right in to the salty combo of pickles and bacon, which is perfectly balanced out by the tomato and lettuce. The protein in the turkey will keep you full and focused for the rest of your afternoon. #SpoonTip: Ask the staff to toast it extra to get that cheese nice and melted. 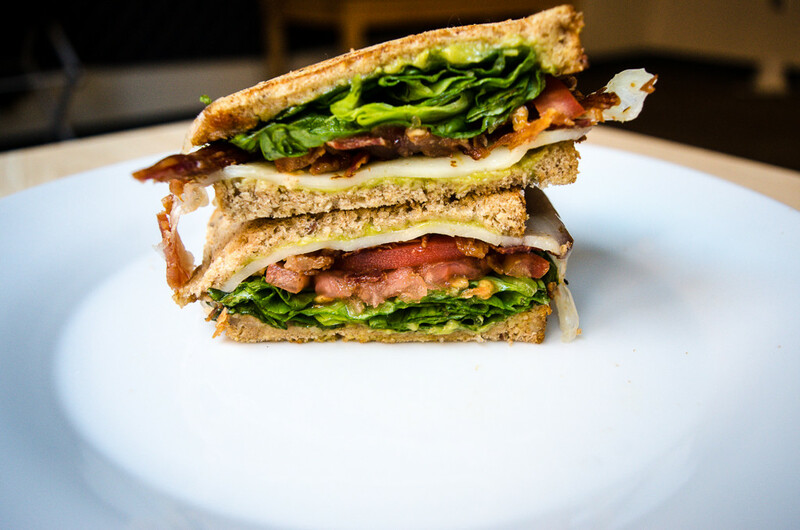 Ingredients: Smoked bacon, romaine lettuce, tomato, provolone cheese and guacamole on multi-grain bread. A twist on a classic, this BLAT (bacon, lettuce, avocado, tomato) hits the spot when you’re looking for a combo of all the main food groups (that being bacon, avocado, veggies and bread of course). #SpoonTip: Ask for extra guacamole to get the full effect. Ingredients: Slow roasted portobello mushrooms, mozzarella cheese, caramelized onions, tomato, lettuce and pesto on focaccia. This is one of the few vegetarian options at Rebecca’s, and with the real hearty mushroom, you won’t even miss the meat. This sandwich will can get a little messy as the pesto and mayo tends to ooze out the sides. Definitely recommend (mostly for the abundance of caramelized onions). #SpoonTip: Grab a lot of napkins before heading out with this sandwich. Ingredients: Marinated grilled chicken breast, guacamole, tomato, romaine lettuce, cheddar cheese and cilantro mayonnaise on multi-grain bread. This is a pretty standard sandwich but is anything but basic. It’s perfect on the crunchy multi-grain bread and the cilantro mayo isn’t too overwhelming. Get this when you want a lighter sandwich for the afternoon. #SpoonTip: Swap out the cilantro mayo for chipotle mayo for a little extra kick. Ingredients: Tomato, roast beef, lettuce, roasted peppers, red onions, chipotle mayo on foccacia. 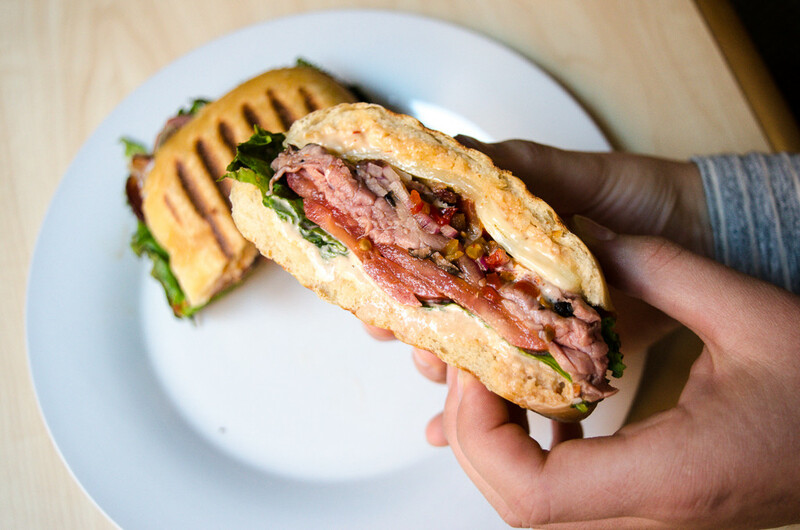 This sandwich definitely does John F. Kennedy justice. One of the most filling sandwiches, it’s loaded with roast beef so you won’t even need to follow it with your complementary chips. The thick focaccia helps keep the sandwich together while the roasted red peppers are a nice touch that not many other Rebecca’s sandwiches have. #SpoonTip: Ask for this with bacon if you’re really feeling indulgent. Ingredients: Roasted chicken, red onions, mixed greens, cheddar cheese and chipotle mayo on foccacia. Essentially a chicken and cheese sandwich, it has a nice crunch from the onions and the added health factor of some greens. The spicy kick of the chipotle mayo makes this sandwich one of our favorites. 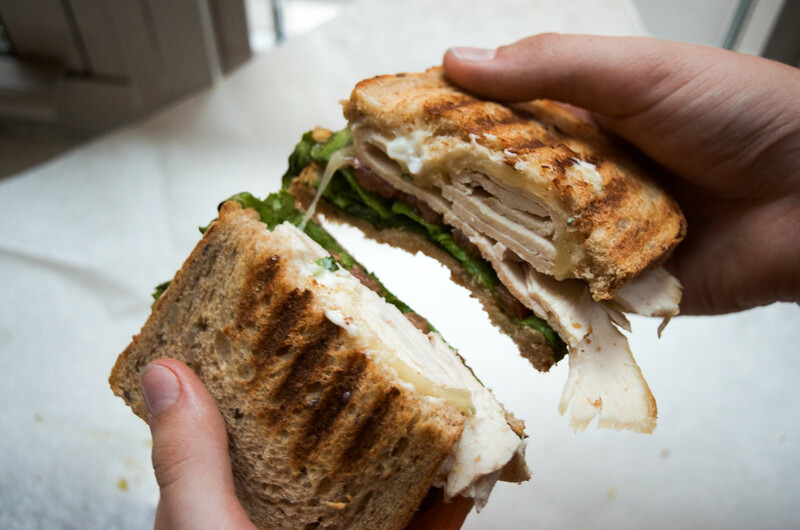 #SpoonTip: Don’t get this sandwich from the pre-made sandwich bar, it’s so worth it to have it freshly toasted. Ingredients: Smoked turkey, cheddar cheese, lettuce, tomato, guacamole and chipotle mayo in a tomato tortilla. The tomato tortilla wrap is definitely a change up from most of the other items on the menu. This thick wrap is filled with turkey, veggies and the spicy goodness of chipotle mayo. Get this if you’re looking for a filling West Coast-inspired lunch that won’t disappoint. #SpoonTip: Get this with spinach instead of lettuce if you’re trying to be extra healthy. 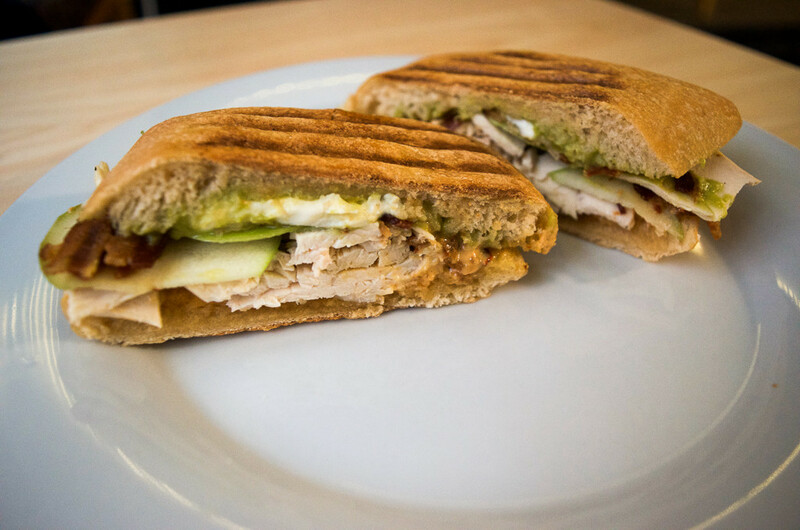 Ingredients: Chicken, fresh mozzarella, guacamole, chipotle mayo, apple slices and bacon on focaccia. 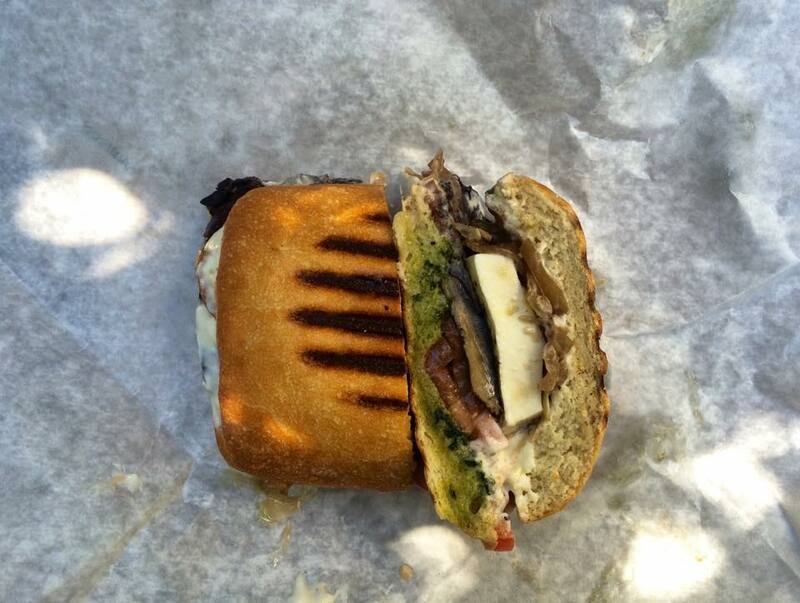 This “make-your-own” sandwich was created by none other than Nicole Lacasse, a fellow Spoonie. The Nicole is practically a secret menu item at Rebecca’s. It was the special of the month during March 2014 and people still order it today. The apple is a surprising twist, but a perfect contrast to the salty bacon. #SpoonTip: Don’t chicken out on the green apple slices — they seriously make the sandwich. 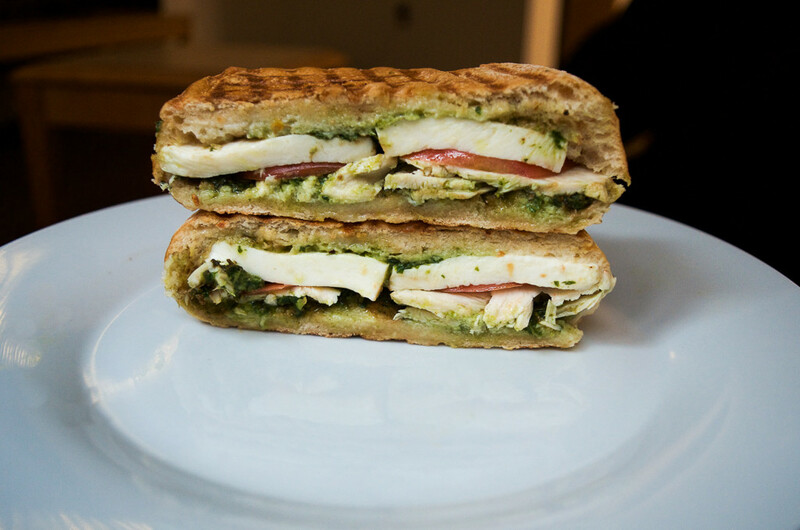 Ingredients: Pesto, tomato, fresh mozzarella and roasted chicken on focaccia. You may not be traveling abroad anymore, but this is as close as you can get to Italy on campus. The pesto is definitely a step up from store-bought ones and makes this sandwich stand out from the many others on the menu. Adding chicken to this classic is necessary to get the most bang for your buck and feel fully satisfied after lunch. 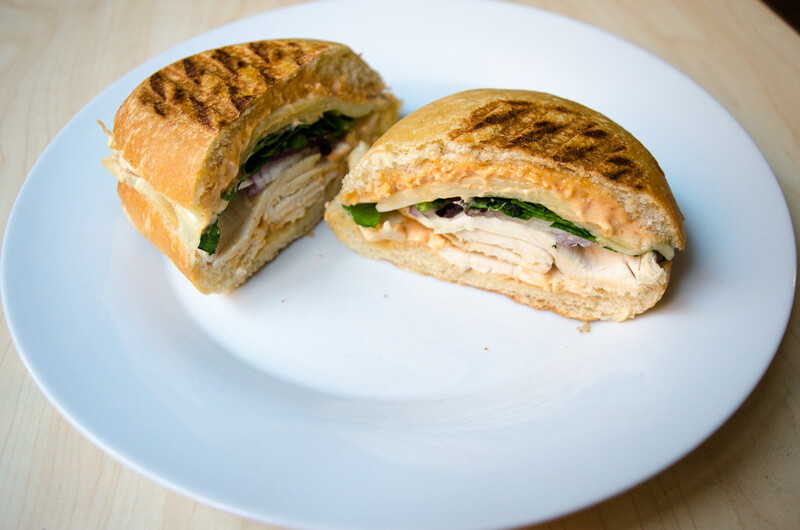 #SpoonTip: Get this without chicken if you’re looking for a fulfilling vegetarian sandwich. 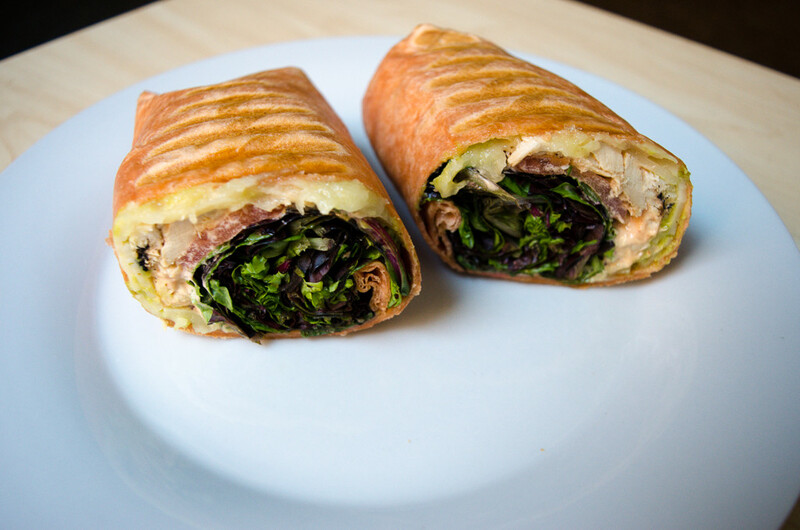 Ingredients: Mixed greens, smoked turkey, chipotle mayo, bacon, Haviarti cheese and cranberry sauce in a plain tortilla wrap. This Rebecca’s classic has a fitting role as #1. A must get for those of you that just can’t wait til Thanksgiving. The cranberry sauce and turkey combo paired with the havarti cheese is just what you need to get a taste of the feast that awaits you in November. #SpoonTip: Get it toasted for the full effect. If you’re not on your way to Rebecca’s right now I don’t know what’s going to entice you at this point. If any of you are still afraid of the long wait at Rebecca’s after this article, enjoy an eternity surrounded by freshman in Stetson East.